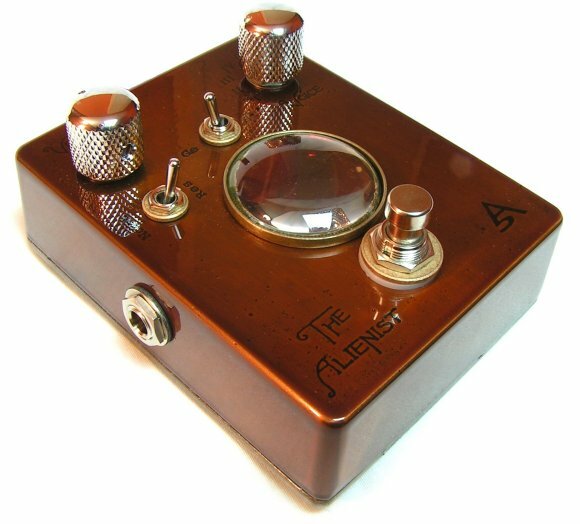 The Alienist is a hand-wired voicing boost pedal that is designed to drive a tube amp, giving even better touch-sensitivity and expanding the tonal range. It can do all the tricks of a vintage treble booster, and much more. 6 position Voicing selector, Volume, switchable low gain NOS germanium and higher gain silicon transistors - visible through the glass lens, along with the fade on/off lighting, low noise true bypass switching, and topped off with a unique Resonant Filter circuit. And it's built to last - with hand-wired switchcraft #11 jacks (same as vintage Fender amps), and audiophile grade resistors and capacitors for low noise and killer tone. 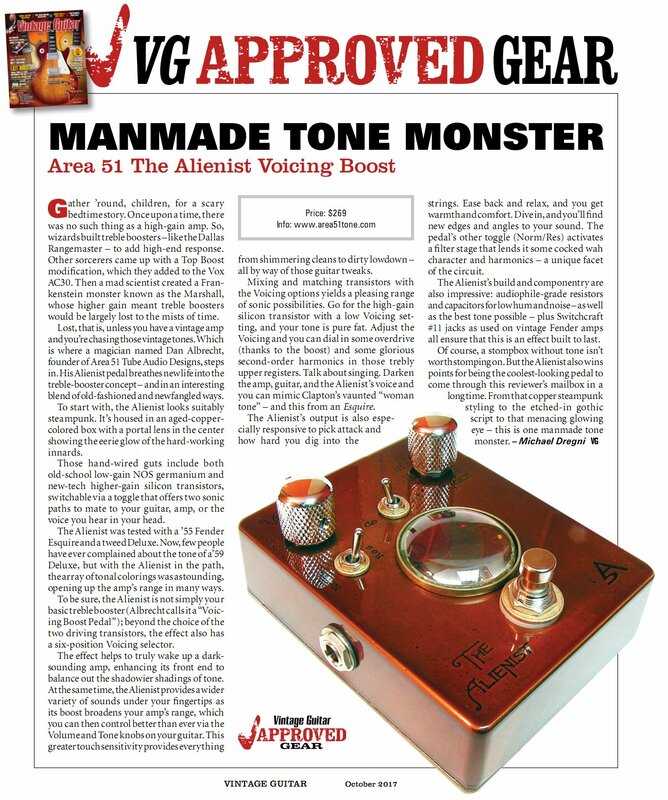 The Alienist gives you tremendous versatility while keeping (even expanding on) that straight-into-the-amp feel. Check out the video. 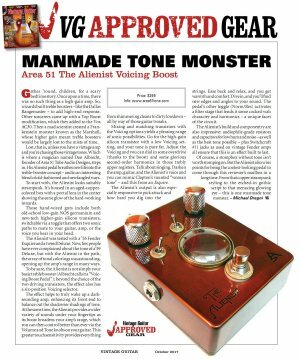 Vintage Guitar Magazine reviewed The Alienist for their October 2017 issue! Click the pic below for the full-size image. Note: With the VG review, right now these are selling faster than I can build them. I'm doing my absolute best - building them as quickly as one guy can build and still have them be up to a very high standard. The wait times have been longer than I'd anticipated, and I want to thank all those who waited patiently.